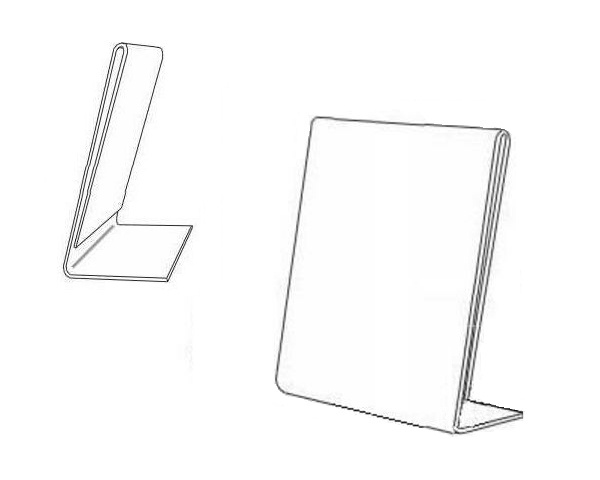 Economical clear plastic 11"x17" slant back table tent / sign holder, slanted sign, poster or picture frame, ad frame and print holder. Perfect for holding announcements, posters, signs, menus and anything else you can imagine. Used by retail stores, event registration tables, restaurants, schools, financial institutions, offices. Please contact us for more information.